Dr. Zoolittle gets a new set of clues from his zoomate about a prehistoric puzzle to go find some of the lost friends and bring them back to zoo! 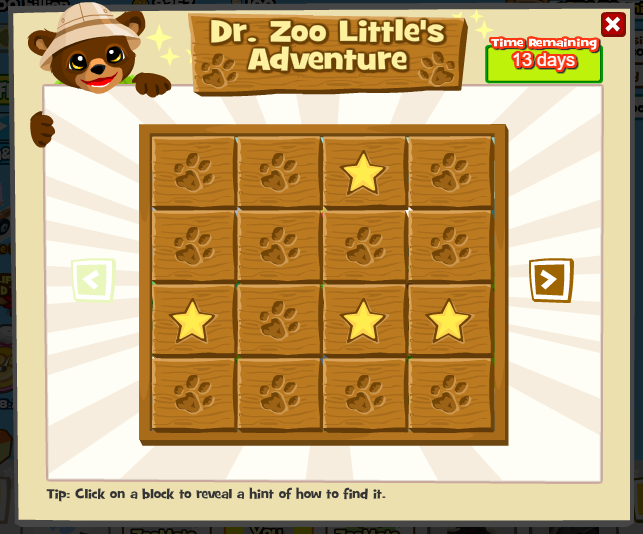 Join Dr. Zoolittle in his new adventure and help him find the clues! This entry was posted in adventure and tagged adventure, Animals, New Animals, Ultra Rare, Ultra Rares. Bookmark the permalink.